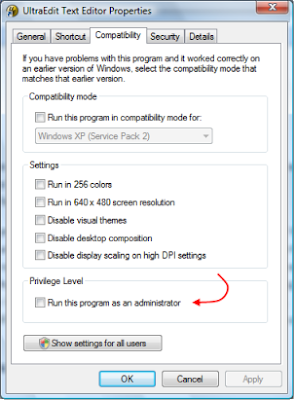 I just came across your run as administrator coments and I was having exactly the same problems with having to use run as administrator to access mozilla thunderbird correctly. Just wanted to say thanks for sorting my problem. Even more than two years later, your explanation and solution are much appreciated. Many thanks!